Blackberry is the juicy mobile product from RIM (Research-In-Motion) and there is no doubt that this gadget has reined the mobile handset market for some time. 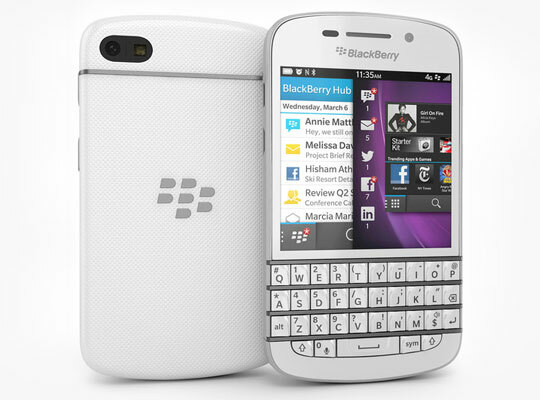 Blackberry has brought revolution in QWERTY keyboard with its feather-touch keypad. Of late, for various obvious reasons, Blackberry has lost its charm and edge over other Smartphone models. But the undying attitude exhibited by the developers has brought out a new model called Blackberry Q10 which features the famous QWERTY keypad. It appears that RIM is feeling sentimental about keypad as the touch-screen Blackberry models with virtual keypads have not done well in the markets. Blackberry Q10 is the sleek hand phone and weighs around 139 grams only. It has a thickness of 10.4mm thus looking thin and handy. It has a Super AMOLED multi-touch, capacitive touchscreen with 16M color display. Screen size is 720x720p with almost 328 pixel density which is a good resolution in this class. The 8MP camera of Blackberry Q10 gives high resolution pictures in 3264×2448 pixel size. This camera is supported with LED flash which helps in taking clarity pictures in dim lit, shady locations or in the night. There are additional features like face detection, geo-tagging and image stabilization. There is a secondary camera with 2MP resolution which can take images in 720pixel. The built-in video camera can record the videos at 30fps with 1080 pixel resolution. Blackberry Q10 comes with loudspeaker and 3.5mm jack and alerts the users in vibration mode and with MP3 ringtones. In-built memory storage of 16GB comes along with expandable memory up to 64GB through micro SD card slot. This handset operates on 2GB RAM. As far as the data services are concerned, Blackberry Q10 supports GPRS, EDGE, NFC, USB and Bluetooth connectivity. This handset can be connected through WLAN and Wi-Fi hot spots. Blackberry Q10 can be operated in 2G, 3G and 4G networks. Blackberry Q10 comes with Li-Ion 2100 mAh battery which supports talk time up to 10 hours. Blackberry Q10 comes with many standard features that are unique with it. It operates on Blackberry 10 OS which is an indigenous operating system developed by RIM and is supported by TI OMAP 4470 chipset. 1.5 GHz, dual-core Cortex-A9 processor drives the functionalities of Blackberry Q10 which is best in class CPU as of now. The GPU (Graphics Processing Unit) has been improvised with PowerVR SGX544. This mobile handset has sensors like accelerometer, compass, proximity etc. and features HTML5 browser for internet browsing. It has the enhanced Mobile Information Device Profile with MIDP2.1. Other features of Blackberry Q10 include Organizer, Document viewer, Blackberry maps, Photo viewer, Video player that supports MP3/WAV/WMA and many other formats, Voice memo and Voice dial, Predictive text input etc. Blackberry Q10 is being regarded as the successor of Blackberry’s super hit model i.e. 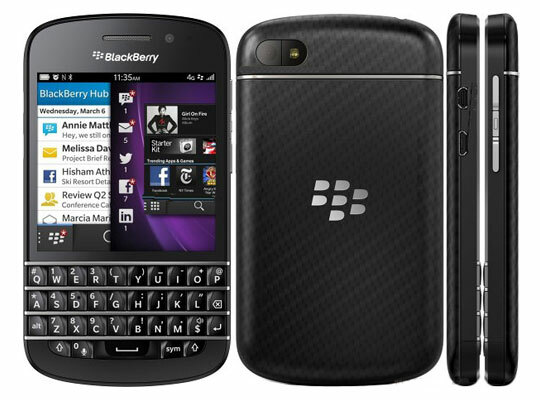 Blackberry Bold and is being viewed as the leader of RIM’s flagship QWERTY keypad mobiles. Many users liked its gesture based navigation and being treated as an intuitive feature. Some of the users have been heard saying that the back plate of Q10 is loosening faster than anticipated but RIM sources say that they are sturdy and can last long. The earlier versions of Blackberry were featuring the audio jack on sidewalls but now it has been moved to the top of rim which provides ease of sliding the phone in to the pockets which was not possible with older versions. On whole, RIM has retained many of the familiar Blackberry features but released Q10 model with upgraded technologies like Blackberry OS 10. Blackberry lovers though unable to find any new or novel features are still going behind Q10 just to enjoy the upgraded software features.